A healthy relationship to food is the first step towards a healthy future, for our campers, our environment and our communities. 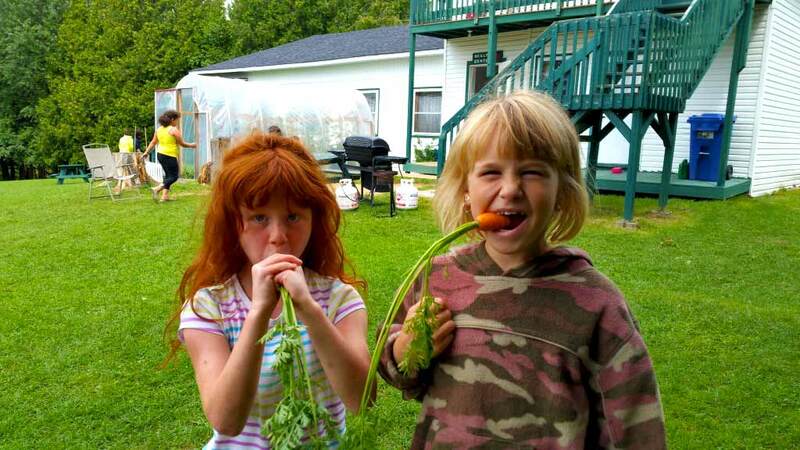 We are constantly striving to grow more of the food that feeds the 200 of us at C.A.M. over the summer while finding more kid-friendly ways to introduce healthy fresh vegetables to the menu. We teach simple cooking methods that kids can help with to highlight that fresh food needs only minimal preparation to bring out the full flavour. Over the years, even the garlic scapes, string beans, kohlrabi and beets have collected a devoted following amongst our campers alongside the crowd pleasing carrots, snap peas and potatoes. Our gardens produce over 25 vegetables, fruits and herbs without any chemicals or pesticides whatsoever, with methods that add organic matter to the soil and promote biodiversity. We design and manage our gardens as a safe place to explore and to showcase the beauty and bounty of nature. If we take care of our environment, our environment will take care of us. In today’s world of limited resources and increasing pollution, it is ludicrous to be throwing valuable goods into the garbage to be trucked off to the landfill to become pollution. Yet this is the reality of throwing food waste and recyclables into the garbage. 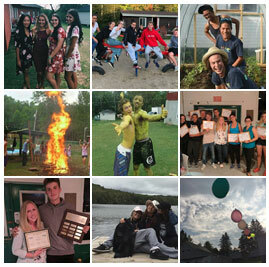 Nature produces no waste and at Camp Amy Molson we are striving to emulate that by improving our environmental footprint through composting and recycling and helping our kids and staff build sustainable habits for the future they will be living in. Each summer, we compost over 6000 lbs of food waste. Turning this into valuable compost and diverting it from becoming methane gas in a landfill resulted in 2.8 tonnes less of CO2, the equivalent removing 623 passenger cars from the road per year! This has been accomplished on a negligible budget showing that any organisation can compost if they want to. 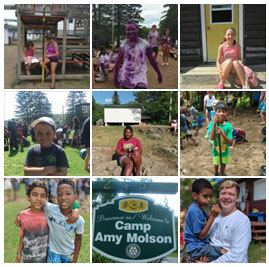 Nonetheless, Camp Amy Molson’s composting program is an important part of camp that would greatly benefit from some extra funding. We are currently looking for support to build proper composting crates that keeps critters out and is capable of composting tonnes of food waste in a more attractive manner as well as improving the educational value. Please contact us to see how you can donate or support this initiative. Since 2012, we have taken on the task of improving our recycling and composting methods as well as finding engaging ways to demonstrate the value in doing the dirty jobs. Using chickens, vermicompost and gardening, we strive to show that just like in nature, one animals waste can be another animals nutrients, turning food waste into fertile soil, fresh veggies and nutritious eggs. We can leave the world a cleaner place and reap the benefits too!